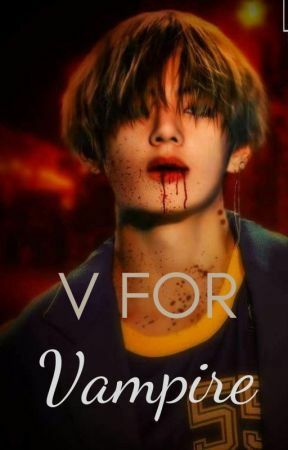 His upper lip twisted in  disgust, Taehyung grabs your wrist and walks away, Jimin and Jungkook  following from behind, shooting daggers towards him with their glares. You sit at a vacant seat, next to a brunette girl who smiles softly which you return with a wide grin. &apos;&apos;Hello...are you Y/N?&apos;&apos; she asks, as you tilt your head. &apos;&apos;Jisoo&apos;&apos; she replies, as you nod. The rest of the lesson, you keep your gaze to the front, although you feel as if someones digging holes into the back of your head. You turn around, and Jacksons smirk greets you. 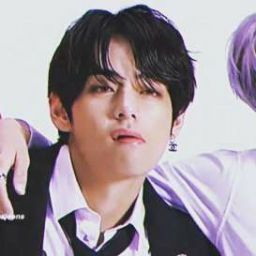 Your eyes then land on Taehyung who&apos;s bored expression turns to inquisitive, lazily raising an eyebrow to ask what was up. You shrug, implying it was nothing and he furrows his eyebrows, pointing to the board with his middle finger beckoning that I should pay attention. You then see Jungkook, who sends you a thumbs up and Jimin next to him does the cuckoo sign and points to Jack, making you giggle slightly. &apos;&apos;You guys are close?&apos;&apos; Jisoo asks you out of the blue, as you shrug. What exactly is close? &apos;&apos;To an extent, I guess? They&apos;re kinda like...my brothers or something&apos;&apos; you reply. Although the brotherly overprotective part of them had only been revealed today. As your first day at school came to an end, you wait by the entrance as instructed by the boys and wait for them without going anywhere. They had to discuss about the fight yesterday to the headmaster, Hitman Bang. You watch the people leave the school gates, some in groups, some in couples and some alone. It&apos;s not long before Jackson&apos;s figure appears in your field of vision, and you watch him make his way towards you. &apos;&apos;Well so are we! Why did you even beat them up yesterday?&apos;&apos; You ask, undeterred. &apos;&apos;You don&apos;t understand, Y/N. Just come with me. We&apos;ve found each other, and that&apos;s all that matters, right? Let&apos;s escape&apos;&apos; he extends a hand, waiting for you to take hold of it. You look at it hesitantly, doubts filling the back of your mind. I&apos;ve been waiting for this day, when we&apos;d reunite, so why am I feeling so reluctant? Your expression remains a bored one, and he opens his mouth to speak again but the the three boys appear, silencing him. &apos;&apos;Just what do you want with our Y/N, lover boy?&apos;&apos; Jimin clicks his tongue. Jackson shakes his head and smiles. &apos;&apos;do you truly know... who she is?&apos;&apos; And with that, he waves a hand in the air dismissively and walks away. Your jaw clenches uncomfortably as you watch his silhouette fade away in the distance. Jin picks you guys up from school and all the boys stop to eat at a cafe. You had no idea what a cafe was at first and pretended to go along with it until you arrived there.